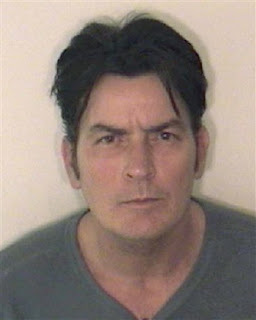 Charlie Sheen has had his share of problems. In 1990 he was engaged to Kelly Preston but the relationship went downhill after he accidentally shot her. In 1995 he married model Donna Peele, but the marriage lasted only 4 months. Always the consummate gentleman, Mr. Sheen dryly compared their relationship to a car purchase. “You buy a car, it breaks down, what are you going to do?" In between capping the future Mrs. Travolta and his ill-fated matrimonial union, Mr. Sheen also dated adult film stars Heather Hunter and Ginger Lynn. He then bookended the 90’s by injecting himself with cocaine until he overdosed. He 2002 he married Denise Richards, but she filed for divorce in 2005 while pregnant with their second child. She cited drug abuse, alcoholism, and constant threats of violence as the reason for the split. Mercifully forgoing any automotive metaphors, Charlie instead decided to prolong the split by vehemently contesting custody of their children for the next 12 months. In 2008 Mr. Sheen wed Brooke Mueller, a successful real estate investor and documented alcoholic and cocaine user. The two conceived twins shortly thereafter but five months into her pregnancy Mrs. Sheen was admitted back to rehab for alcohol abuse. On December 25, 2009, Mr. Sheen surprised his bride with the gift that keeps on giving: domestic violence. He was arrested and charged with second degree assault after allegedly holding a knife to his wife’s throat. Unfortunately all of this has overshadowed his work with 9/11 Truth Movement, a loosely affiliated organization bound by their collective skepticism over the World Trade Center attacks. For his part, Mr. Sheen maintains that the collapse of the towers was the result of controlled demolition and not the result of the airplane impact or resulting damage. In late 2009, Sheen urged president Obama to reopen the investigation and alluded to a secret alliance between Osama Bin Laden and the CIA. He maintains that the Bush administration was behind the attacks in order to justify the invasion of Iraq. The irony of all of this is that a rather heated debate has emerged comparing the behavior of Charlie Sheen to that of recently crest-fallen Tiger Woods. Many feel that the media has been far too critical of Mr. Woods and has let Charlie off too easy, with some claiming racism is to blame. Other than their shared penchant for adult film stars, I do not see much commonality between the two. Tiger got more media scrutiny because his behavior was considered the most incongruent with his public persona. If this was early 2008, and you saw the following two headlines which would have surprised you the most? The truth is that most of us lowered our expectations of Charlie Sheen after Scary Movie 3 & 4 was released. His current project is Wall Street 2: Money Never Sleeps, which means money now has something in common with his criminal defense attorney….